Uratex Foam, the leading manufacturer and supplier of foams and mattresses in the Philippines, has just launched a press briefing to announce their latest campaign, the “Create a Dream Bedroom” contest, which is open to Cebu’s different colleges, and showcase their vast and modern plant located in Mandaue. 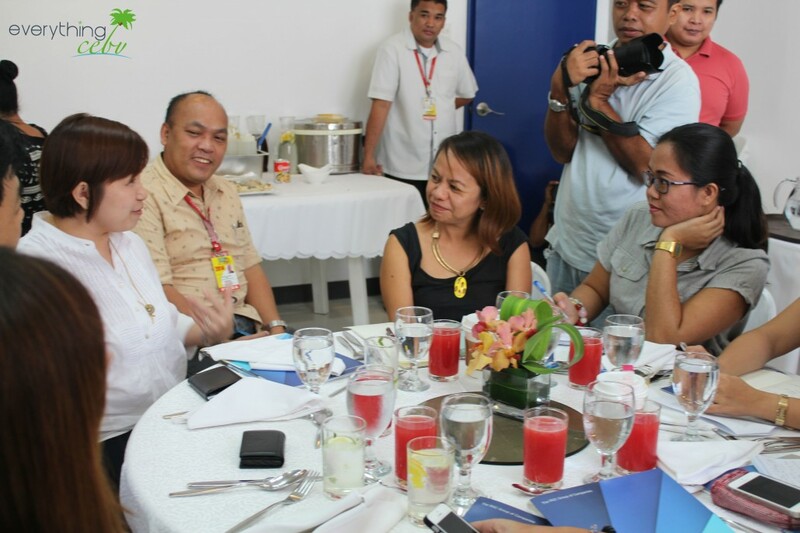 The press briefing happened last August 5, 2014 in the Uratex Showroom at Plaridel St., Brgy. Umapad, Mandaue City, Cebu. 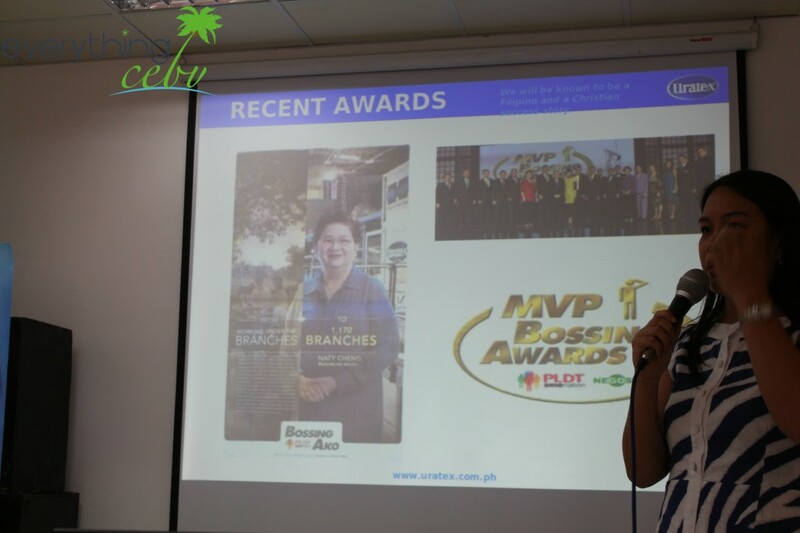 There was a presentation led by the company’s Consumer Marketing Manager, Ms Marvey E. Alcantara, which was mainly about the successes that Uratex has had for the last 46 years, including the establishment of 2 more plants in Davao and Cagayan de Oro last year as well as its 6 consecutive years of receiving platinum reviews from consumers. The presentation also emphasized the number of satisfied clients and partners that the company is affiliated with, such as hotels, resorts, sponge brands, car manufacturers, and even lingerie suppliers. They also showed the Cebu press some of their latest projects or environmental campaigns, and one of them is their donation of 16,000 mattresses and clothes to the Yolanda survivors in Eastern Visayas. After the brief presentation, a sumptuous lunch, care of Cafe Laguna, followed. Then, we proceeded to the plant tour at the back of the Mandaue showroom, which was spearheaded by their Manufacturing Head, Mr. Federico Bilbao. The Uratex showroom in Mandaue boasts of spacious manufacturing areas, imported machines, and complete safety measures. They even have their own fire trucks to be really prepared in case of emergency. The spacious, well-separated manufacturing areas found there are intended for various processes, and these include cutting, staging, foaming, and chemical storage. We were then led by Mr. Bilbao to their huge foaming area where the foam’s bloating process takes place. Here, we witnessed how a roll of a 4-inch polyurethane material transforms into a 44-inch foam! The big machines really looked modern, especially that they came from Norway. From the foam conveyors, which are responsible for giving the polyurethane foam a rectangular form and a variety of colors, our tour then proceeded to the cutting area where we saw how looooong lines of big foams were cut to 18 meters and transported to another big room that’s meant for cooling. Since the foam is still hot from the foaming/puring process, it’s left in that room for 18-24 hours, and with the use of a temperature control monitoring device, Uratex’s staff is able to keep track of the foam’s temperature and quality during the cooling process. That tour did not merely taught us how the whole foam manufacturing process works; Uratex also taught us that they really value quality in all of their products. In fact, we were not allowed to take pictures of the plant and touch their machines for security purposes. Plus, they also told us how they make good use of rejects in creating pillows and other smaller yet equally helpful bedroom accessories. Judging will be based on functionality, aesthetic and creativity, and practicality. An online voting shall also be done through Instagram so the participating schools can help their representatives earn a high score and have a bigger chance of winning in the final judgment. The contest will run from September to October, and is sponsored by Home Suite (they will provide the bed frames for the contestants), Canadian (for the bed sheets and pillow cases), and Kingstone Marketing, Inc. (for the wall frames). Of course, Uratex will be proving the foams and mattresses needed by the contestants. For more info, visit their official Facebook page or send an email to abigal.cabaltera@uratex.com.ph. The event ended with a raffle, and luckily, our very own Angelyn won one of the huge and comfortable Uratex foams! We were also given huge, soft pillows as tokens for Everything Cebu’s attendance in the press briefing. Thank you, Uratex! And, may you continue providing quality yet affordable products to all Cebuano consumers.